Two new acts have been signed by RedAce Management Company, the talent management arm of Africa’s foremost PR/Media & Communication agency, The RedAce Company. The acts signed by the firm are Nigeria’s leading pencil artist, Alesh Akeem, and fast rising music sensation, Adejola Abayomi Olanrewaju a.k.a ‘96’. 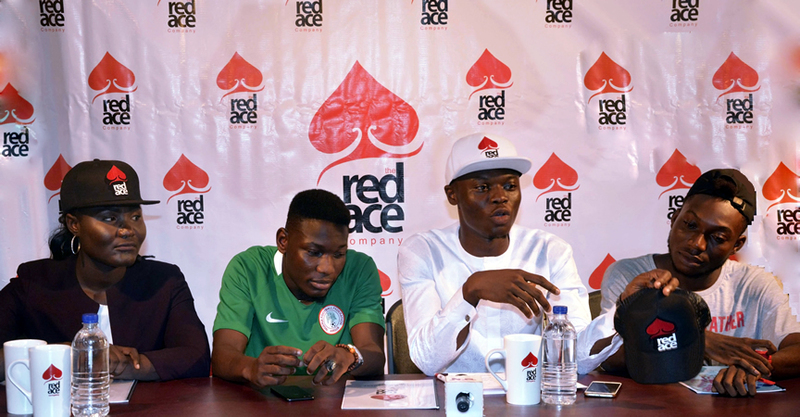 At a press conference organised in Lagos to unveil these acts, RedAce Management Company explained that it decided to work with the two in continuation of the tradition of producing talents of stellar quality in the Nigerian entertainment scene. Director of RedAce Management Company, Mr Olubunmi Adeyera, disclosed that the singing of the deal has become imperative to ensure the profitable exploitation, discharge and engagement of talent and creative works both locally and internationally. Recall that Alesh Akeem is known to have painted and presented art works of international celebrities such as J.Cole, Ciara, T-Pain, The Migos etc; and as well just concluded his “Celebrating 10 Kings” tour- A project that focuses and celebrating 10 exceptional Kings across Africa through Art. Mr Adeyera also hinted that UK-based Music sensation, ‘96’ with his unique kind of sound is ready to take the Nigerian music industry by storm as he ready to officially release his songs after which he would immediately commence is media tour. ‘96’ told newsmen that he decided to return to Nigeria because his kind of music, which he described as afro-pop, is entirely different from the existing, and for maximum fulfillment of his career as a musician, the Nigerian market was best suitable. ‘96’ whose real name is Adejola Abayomi Olarenwaju hails from Abeoukuta, Ogun state, Nigeria and holds a Bachelor’s Degree in Business Administration from Heriot-Watt University, Edinburgh, United Kingdom; and has recorded danceable tracks with both local and international producers.